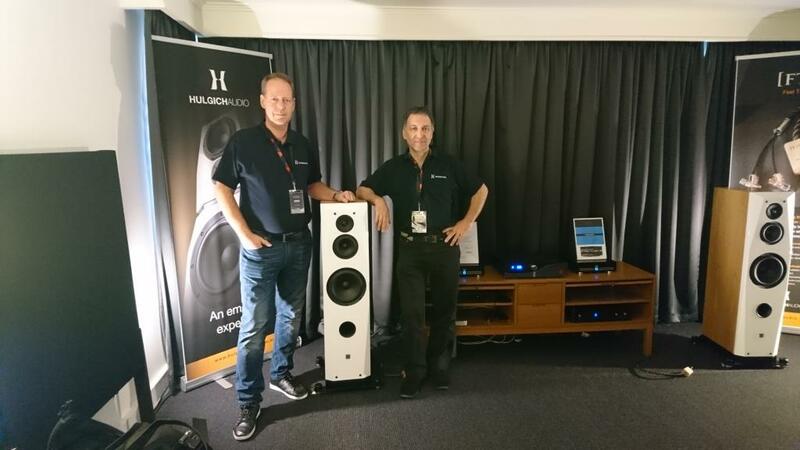 The 3rd-5th of November I attended the Melbourne International Hifi Show in Australia together with Hulgich Audio. We had a great success showcasing three of the Hulgich Audio models, the Ella MkII, Maestro and Serenade loudspeakers. The Ella MkII is a brand new loudspeaker and after a long and hard work and with only two weeks marginal, we finished it just in time before the Show. The Ella MkII wasn’t the only new product on the Show, the Maestro was also for the first time demoed to a broader public. All three models were received well and got very good reviews. In fact with the new Ella MkII, we were awarded with the prestigious “Best Sound – Overall” award and the “Best Newcomer” award! I want to thank and congratulate Nicolas Hulgich for an exemplary well done work with the Hifi show and for the great time I had with him and the rest of the Hulgich Audio team in Australia. I also want to thank all the Hifi Show attendees and other Exhibitors for their very friendly reception.